Trust Little Valley Piano Service to repair your piano and and restore it to its full potential and sound. Our goal is to make your piano sing! From replacing broken piano strings to fixing sticky or sluggish piano keys, Little Valley Piano Service can also fix broken or replacing missing piano parts as well as repair piano regulation problems. Along with repairing mechanical parts we can help your piano sound like a different instrument.You might also discover that your piano could benefit from voicing work. Trust your piano repair to the technical competence of Greg Moore, a Registered Piano Technician® to repair and maintain your piano with the integrity, professionalism only a Piano Technician’s Guild Member can provide. 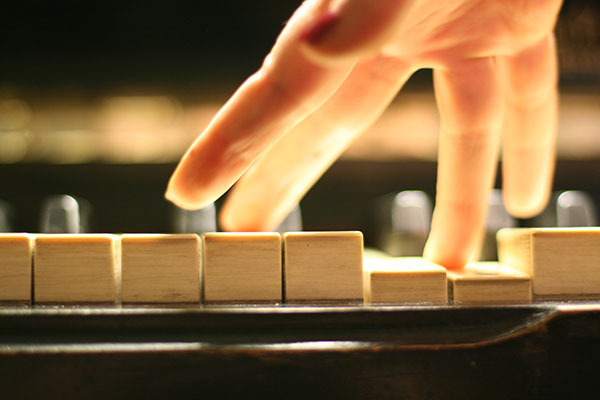 If you are experiencing some of these common piano problems, call Vermont’s piano repair experts and start enjoying the sounds of music again. After trying a number of tuners, I can say I have never been happier with a piano tuning than with yours. Thank you. I have a very old non-descript upright grand piano. Greg’s first tuning of it brought it back to life allowing it to be grander than it perhaps has a right to be! Thank you for doing your piano tuning magic again. It never ceases to amaze me how much nicer (in tune!) our piano sounds once you’ve done your thing. It’s like a new instrument! I appreciate the tidbits of knowledge, too, while you work. Nice website by the way. Greg regularly tunes and recommends small and larger repairs to maximize the life of our baby grand. He is professional, punctual, pleasant and most importantly—is a VERY GOOD piano tuner and technician. I love his smart-scheduling service! I recommend Greg’s services without hesitation. Vermont is blessed to have such a wonderful piano tuner! Thank You Very Much, Mr. Moore … All of us who play on these instruments have noticed the significant improvement in the action and the operational mechanics of both pianos …. and everybody is appreciating the tone quality and the intonation. Job well done for Chick Corea’s solo show at the Paramount Theatre in Rutland Vermont. Nicely done on the multiple tunings needed to get the low pitched piano at concert level for Chick by showtime. Thanks for the TLC on the piano tuning and the correct action adjustments that you got in there on C’s short notice. Thank you! Copyright © 2018-2020. Little Valley Piano Service & Ben Rocke. Site Designed by Green Mountain Marketing & Advertising, Inc.